Temperatures warm-up a bit for the weekend. Travel weather is looking pretty good across the area this weekend. We’ll still have some clouds around Saturday, but sunshine does make a return appearance. Temperatures also recover with highs in the lower 40s. 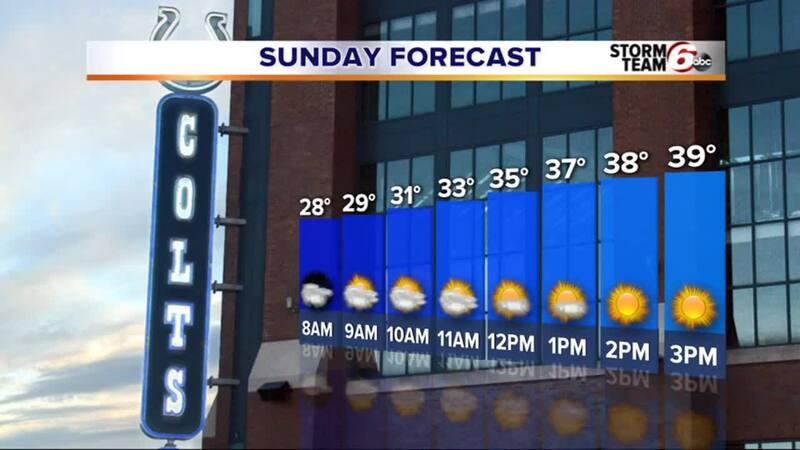 There’s just a 20% chance of a passing rain or snow shower on Sunday. Otherwise, mostly cloudy skies come with highs around 40. We get the gift of nice weather for Christmas Eve and Christmas Day. Partly cloudy skies come with highs in the lower 40s Monday. There’s just an isolated rain/snow shower chance Tuesday with highs around 40.